How to potty train your puppy easily. 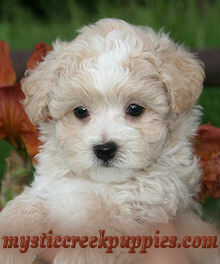 The importance of beginning to train your maltipoo puppy as soon as he comes home cannot be over emphasized. Just a few minutes each day spent in fun interaction and training with your maltipoo puppy will reap life long benefits. Please take the time to read through my recommended reading list. By learning how to interact with your maltipoo puppy, and understanding how a dog's mind works, potential behavior problems will be avoided. 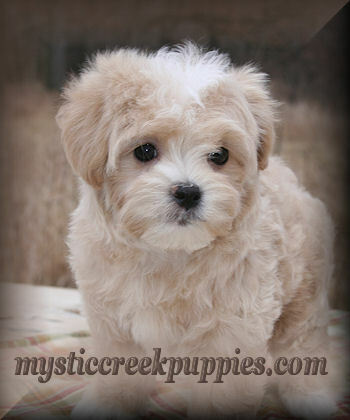 Help your maltipoo puppy understand what his boundaries are through obedience training. A well mannered puppy is one who will be loved by everyone and welcome anywhere! 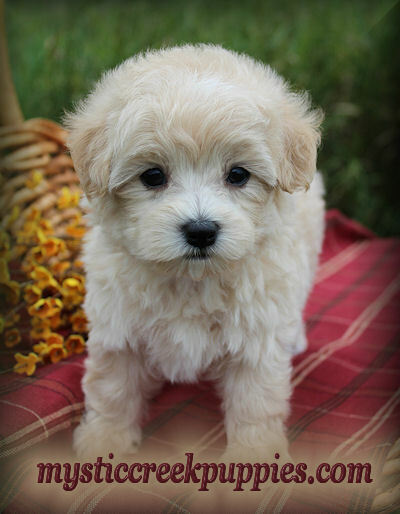 It will be helpful to you and your new maltipoo puppy if you enroll in a puppy obedience class. This class will strengthen the bond between you and your puppy, teach you both about basic obedience and be a continued socialization opportunity for your maltipoo puppy. This class can be started as soon as your puppy has completed his puppy shots (usually between 12 and 16 weeks). If you prefer, professional trainers can also do individual classes, or come to your home for private lessons. A List of Basic Supplies to have on hand when your Maltipoo puppy comes home. A copy of Jan Fennel's book or DVD of "The Dog Listener". 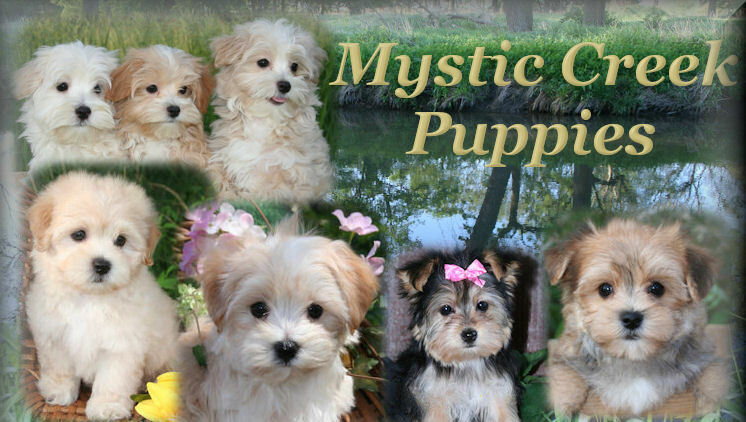 It is a must read/watch for any of my maltipoo puppy's new owners. If you only read one thing-be sure this is it. Here is a link to The Dog Listener website. An exercise pen for assistance in crate training. These exercise pens are almost a necessity and can be found at www.petedge.com.